Every Senior Portrait Session is special, however, I was very happy and honored to capture this portrait session. You see, it's Julie Semrau's third child starting their Senior Year at Slinger High School in Wisconsin. 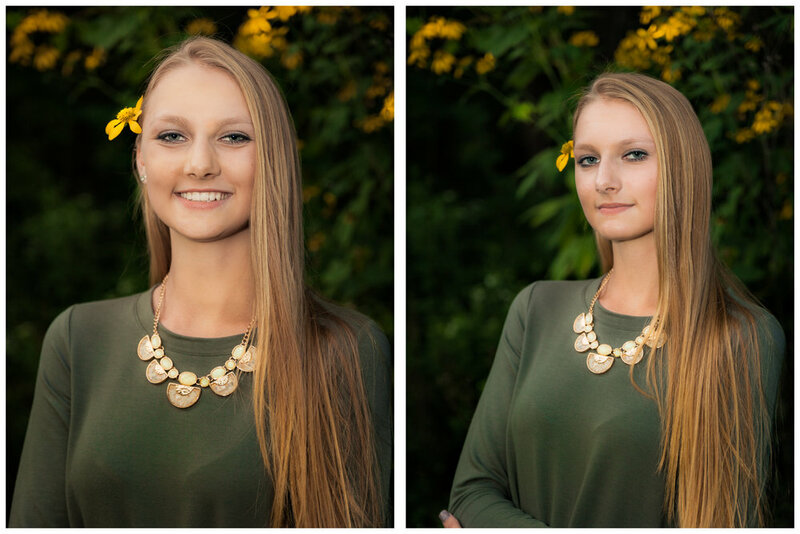 Earlier this summer, Paige Semrau scheduled her Senior Portrait Session and then suffered a horrible car accident. The Emergency Team had to utilize the jaws of life to remove Paige and her friends. Guardian angels were with the girls that afternoon. Beside some broken bones, Paige and her friends have walked away from this car accident, all safe and sound. As a parent, I'm amazed how children are so resilient and strong, able to quickly bounce back and rearing to take on the world, head on. It was with great honor that I was able capture this Senior Portrait Session of Paige. It was easy to capture and showcase this young lady's natural beauty, grace and strength. I couldn't help myself, I had to seal this moment in time by asking Julie and Paige to live in this happy moment by capturing a couple shots of mother and daughter just as the sunset blazed colors of orange and yellow light upon the close of the midwest summer sky. Congratulations Paige, live every moment and create amazing memories. Go Senior Class of 2017!